Thank you for visiting 150269691.homesconnect.com! This is a one-stop real estate website for all your Real estate needs in Prescott and the Phoenix metro area. We are a comprehensive real estate company with extensive knowledge and expertise in all aspects of today's ever changing real estate market. Our company services include; Listing, Selling, Leasing, Land Sales, New Construction, Development Management and Property Management our professional real estate brokers and agents will help make your real estate business an enjoyable experience. 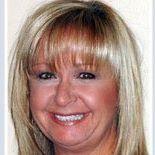 Our Broker Kim Horn is well respected as a leader in the industry. Thank you for visiting 150269691.homesconnect.com! This is a one-stop real estate website for all your home buying, selling, Leasing and Property management needs in the Phoenix and Prescott marketplace.